For most people, the idea of having a smart speaker in your house seems a bit unnecessary. It’s definitely not one of those products that someone needs, but it can add a level of convenience for a lot of people in certain circumstances. 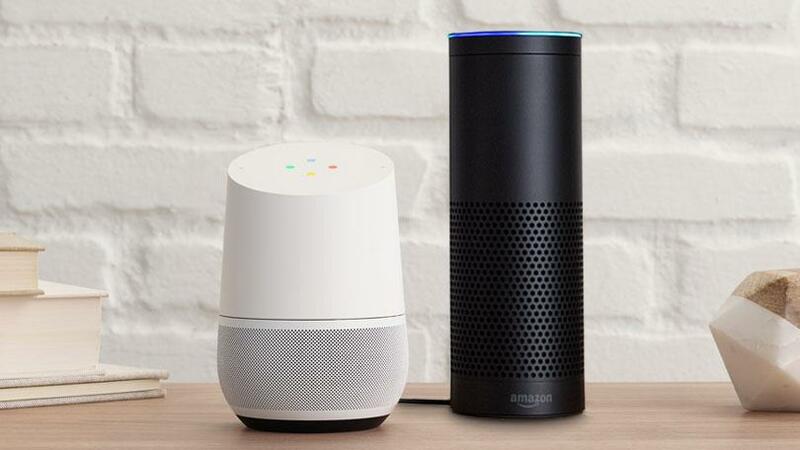 As of right now, there are two major players in the smart speaker market: Amazon and Google. There are a small number of others who compete in this area, but it’s clear that they have a long way to go as a new report says that both Amazon Echo and Google Home devices combined account for 92% of the smart speaker market. These numbers shouldn’t really surprise anyone since there aren’t that many companies selling these smart speakers to customers. Amazon made a huge splash when the Amazon Echo debuted and even though it was rather large, it made people start to realize how convenient a smart speaker could be. By the end of the 3rd quarter in 2016, Amazon had captured 93.5% of the market according to Strategy Analytics. The other 6.5% of the market went to the ‘others’ category. However, things have changed this year with the introduction of the Google Home, and they will likely continue this trend going into 2018 with the launch of the Google Home Mini. According to the same report, Amazon’s market share in the smart speaker space has dropped from 93.5% from Q3 2016 down to 66.9% at the end of the third quarter in 2017. While they have a smaller market share, the market itself has grown substantially as the company sold a lot more devices—5 million shipments compared to the 900,000 they did during the same quarter last year. The company who stole the most market share from Amazon during Q3 2017 was of course Google as they now account for 25.3% of the smart speaker market with a reported 1.9 million Google Home units sold. As mentioned, there are others who are now joining in, and this includes JD.com with 1.6% of the market, Xiaomi with 1.3%, Alibaba with 0.9%, and the rest are being lumped in as “others” with 3.9%.